Managed resource systems are inherently complex. One source of complexity is the number of dimensions in resource systems, including ecological, economic, social, political, organizational, among others. Indeed, even each of these dimensions are complex themselves, which leads to difficulties in tractability. The high dimensionality of these issues as well as the lack of common methods and institutions to manage these multiple dimensions has led some authors to apply the phrase 'wicked problems' to natural resource issues. Practitioners of adaptive management acknowledge these multiple dimensions and attempt to separate resource issues into scientific (primarily ecological) and social (political) components. Although not always separable, these two categories provide a useful way ofdiscussing the application ofadaptive management to resource issues. One source of complexity arises from differences in paradigms, theories, methods, and practices among academic disciplines that underlie resource issues. Even though many would argue the pragmatic and applied aspects of their work, all applied disciplines have a corollary academic field. For example, conservationists' ideas are rooted in understanding of ecology or biology; engineers in mathematics and physics; planners in geography or architecture. Some ecologists may be very good at understanding and evaluating ecological impacts and yet they often make myopic or inadequate suggestions for action because they are unaware or dismissive of the realities of human behavior, organizational structures, and institutional arrangements. Another such example is when engineers or managers assume that the uncertainty of nature can be replaced by human attempts to control and stabilize ecological systems. It is not that these approaches are wrong, but that they are partial and require more disciplinary integration. Overcoming disciplinary differences and bridging the gap between theory and praxis has been one of the central purposes of adaptive environmental assessment and management. Complexity in resource systems leads to difficulties in prediction. All phases of environmental management, assessment, and planning activities involve some estimation about 'what will happen'. However, these activities are problematic because of difficulties relating to our abilities to forecast. Certainly, many things are known, especially the broad and the general. However, there are many reasons why our predictive abilities of ecological systems are limited. These include sheer complexities of ecological systems, the wide range of scales of ecological structures and processes, competing ideas about how ecological systems are structured and function, and lack of data/information to test ideas about ecosystems across scales. These same arguments could be applied to the social dimensions ofassessment and planning, but include problems of shifting and multiple values that society places on different aspects ofecosystems. The wide range of spatial and temporal scales over which ecological systems are structured and operate provides another source of complexity. Ecosystems operate over spatial scales from millimeters to thousands of kilometers, and temporal scales ofmilliseconds to millennia. The cross-scale interaction of processes and structures in ecosystems can lead to surprising behavior. 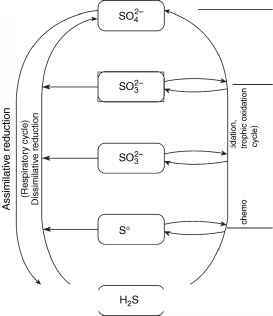 The concept ofecological resilience suggests that ecosystem shifts among alternate states are linked to cross-scale interactions. Examples of such ecological shifts include the transition from grass to shrub dominance in semiarid rangelands, population outbreaks of forest pests, shifts from clear water to turbid water in shallow lakes and similar structural shifts in inland sea systems, as well as shifts between coral and algae dominance in coral reefs. In all ofthese cases, the transition is mediated by the interaction between slower and faster components in ecosystems. Nonlinearities, alternative ecological states, and the inherent unpredictability ofecosystems suggested by resilience theory are all ecological concepts that underpin adaptive management. The original works of adaptive management introduced the idea that it is equally important to address uncertainties of resource issues and management actions as it is to state what is known. A number of other approaches have been developed to address and winnow uncertainties. These include processes such as qualitative assessments by knowledgeable persons, judgment of experts, the development of narratives or scenarios, strategic gaming, statistical analyses ofempirical or historical data, and causal modeling. Expert opinions are often used in legal situations or where causal understanding or data are lacking. The development of narratives or scenarios has been used successfully to highlight emerging issues or to roughly define feasible alternative futures that contain great uncertainty (such as Rachel Carson's 1962 book Silent Spring). Scenario-based planning has been used in business, to address issues of climate change, to explore sustainable futures, or in resource issues fraught with a large number of unknowns (such as the recent Millennium Ecosystem Assessment). While a growing number of theories, methods, and approaches have been developed to confront the ecological and technical components of resource systems, they are but part of the overall complexity of resource issues. As mentioned above, the social dimensions of these problems are as vexing and problematic, as discussed in the next section. Other sources of complexity in managed resource systems arise from conflicting worldviews and interests of stakeholders. Resource issues most often engage governmental agencies, resources users, and other stakeholder groups, all with competing views and expectations of how ecosystems are valued and should be managed. In the United States, for example, federal agencies such as the Fish and Wildlife Service have responsibilities under the Endangered Species Act, while the Environmental Protection Agency and Army Corps of Engineers each have specific mandates that are not overlapping and can come into conflict with other governmental goals and claims. Nongovernmental organizations (NGOs) and even sovereign entities (First Nations) have taken larger roles in the lobbying, planning, design, and management of resources. Yet difficulties persist and protract the planning and design process due to the number and types of agencies and stakeholders that are engaged. In addition to the complexities due to the number and types of competing interests, another obstacle to integration is in the ways in which these groups interact and resolve differences so that actions can be taken. The set of laws and bureaucratic structures developed to implement laws appear to generate partial solutions to the myriad problems faced in integrating ecology into all elements of resource management. Moreover, the legal and bureaucratic frameworks are set up in a way that defaults first to administrative processes and second to legal institutions to resolve conflicts or fill in missing pieces. In these frameworks, integration of ecological concerns into other social objectives is rarely achieved. 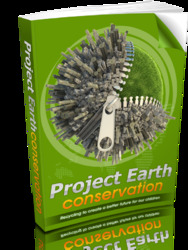 Rather, these partial solutions shortchange ecological concerns. Often this is due to a lack of understanding about the natural systems, or unrealistic expectations about how these systems behave. Sometimes, these partial solutions generate greater ecological problems. Figure 1 Flowchart of adaptive environmental assessment and management. The assessment phase integrates existing knowledge to develop policies that are structured for learning about system uncertainties. The policies are tested by management actions and evaluated through monitoring and research. resource issues. The management phase designs actions that can sort among competing hypotheses while achieving social objectives. Each of these phases is described in the following sections.